Group story writing can motivate students to improve their writing. Derrick doesn’t like to read or write. Sylvie has a difficult time expressing herself. Allyson can’t seem to sit still. These are just some issues that can make writing challenging for students. Group story writing helps students who struggle with writing. 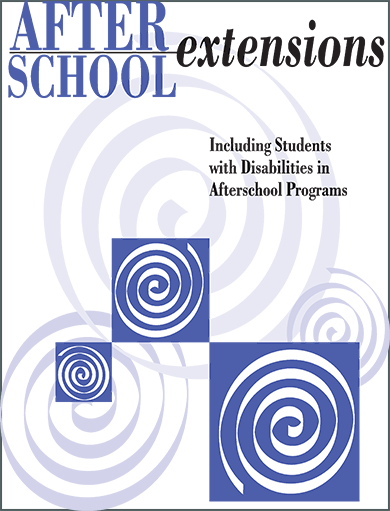 It is one afterschool activity that builds writing skills and can include children with differing abilities. Setting (where and when the story takes place). The problem that one or more of the characters face. Ending (how the problem is solved). This is all the group leader needs to know to get started. Get a large newsprint pad or butcher paper and tape the paper to a wall or chalkboard. Or use a Smartboard. Gather a group of five or six students and seat them in a semi-circle facing the writing paper. Write the four story elements in four large columns on the paper. You may elicit the story parts from the students or explain them as you write. The story parts are characters (who), setting (where and when), problem, and ending (how the problem is solved). Make a rule: Only one student can talk at a time, but everyone will get to participate. Ask the students to close their eyes and think about an interesting character. Then have them take turns naming and describing their character. Write the name and a brief description for each student’s suggestion under the column for characters. Next, ask the students to close their eyes again and imagine where the story takes place. Have them take turns describing the setting for the story and write their ideas under the column for setting. Invite the students to think about a problem that their character might have. Ask, “What happens to this character?” Write the problems that the children describe. For each problem, ask the students to think about solutions. Under each problem, list all solutions that the students offer. Review the characters, settings, problems, and endings for the story. Finally, it is time to write! There are many possible stories that can be written from this chart. Think of it as a mix and match game. Ask students to begin writing a story, either as a group or individually. Encourage students to be very creative in their thinking. Don’t worry about grammar at this phase. The goal is to learn the parts of a story and to use those parts when telling a story. In future story writing activities—after students have become very familiar with the basic story parts and have written several stories—introduce the idea that characters think and feel just like real people. Suggest that the students have their characters express ideas and emotions. They also can draw pictures of their characters and act out the story as well. Fostering academic learning—including making the most of homework. 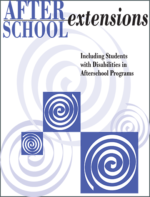 Supporting participation in activities—accommodations and modifications that work. 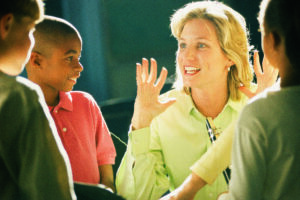 Promoting positive behavior—and addressing difficult behaviors proactively. Using assistive technology—and other technology tools to enhance participation. Overseeing an inclusive program—administrative tips for ensuring success.